PLYMOUTH, Mass.—Two Mattapoisett residents with deeded rights to Leisure Shores beach told jurors Wednesday their families had lost recreational use of the sandy beach after Bouchard oil washed ashore in April 2003 and lingered for years despite extensive cleanup efforts by the oil transport company. 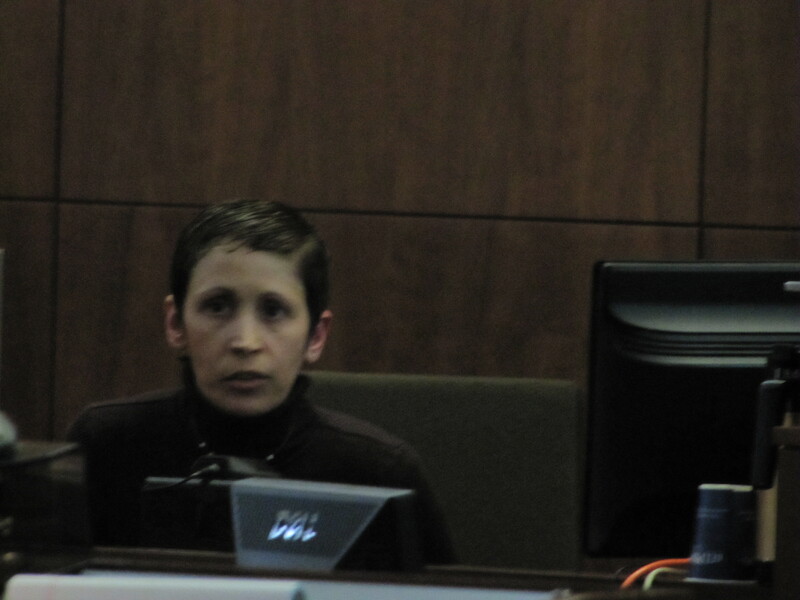 Theresa Cormier gives testimony during a civil trial in Plymouth, Mass. Theresa Cormier, who purchased her house on Marina Drive a year before the oil spill, recalled visiting the beach a few days after a Bouchard barge leaked up to 98,000 gallons of fuel oil into Buzzards Bay. Frank Haggerty, who has lived on Brandt Island Road since 1989, also testified about conditions in the neighborhood in the immediate aftermath of the spill. 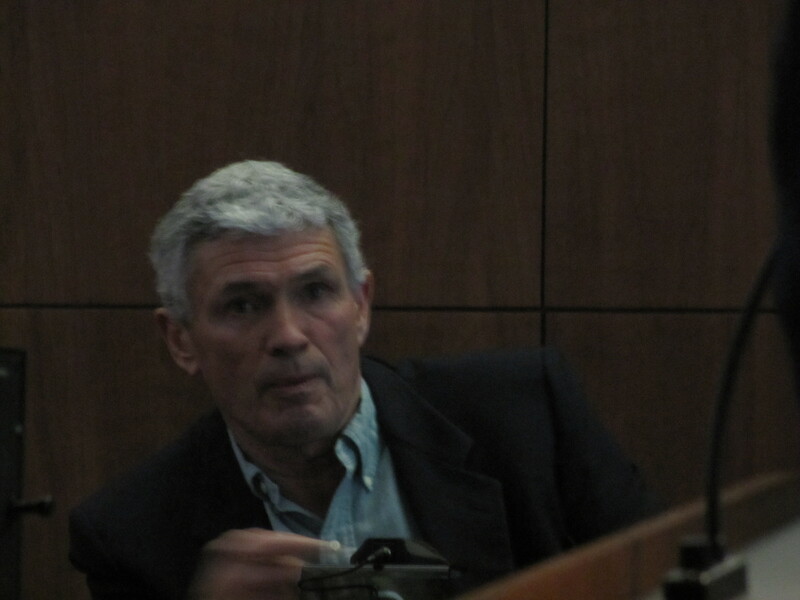 Frank Haggerty testifies before the 15-member jury. He compared the oil to “molasses or maple syrup” that “was mixing” with the rocks on the beach. Both Cormier and Haggerty are plaintiffs in a class-action lawsuit filed against Bouchard by 1,100 Mattapoisett property owners who are seeking damages related to the oil spill. Eight property owners, including Haggerty but not Cormier, are the subject of a civil trial this week at Plymouth County Superior Court. The summer prior to the spill, Cormier said her family would walk to the beach on Saturdays with a picnic lunch and an appetite for waterfront recreation, from swimming to collecting shells to building sandcastles. Plaintiffs’ attorneys showed the jury photographs of Cormier’s young daughter walking on the beach and splashing at the water’s edge that first summer. “The main reason for choosing our property was that it came with deeded beach rights, it was a dream of ours to live near a beach,” Cormier said. But the summer after the oil spill, the family stopped going to Leisure Shores on account of the contamination and cleanup work, she said. Haggerty testified that the spill “ended” his activities at the beach, including swimming, walking and kayaking. During cross examination, defense lawyer David G. Hetzel showed Cormier and Haggerty photographs of a crowd of people gathered at Leisure Shores for a beach cookout on Labor Day weekend of 2003, the same year as the oil spill. When asked if they could identify any of the people, the witnesses acknowledged a few as neighbors who they knew casually. Hetzel then zoomed in on one of the photographs to show Haggerty in a blue T-shirt sitting with some of the neighbors. The lawyer next zoomed in on some kayaks sitting on the shoreline and asked Haggerty if he owned them. The witness said it was possible. During her testimony, Cormier said a few years after the oil spill, her family began to enjoy the beach again. The trial continues today with presiding Justice Raymond J. Brassard.